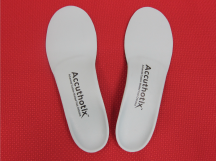 Accuthotix will repair and refurbish old orthotics regardless of where they were originally fabricated. 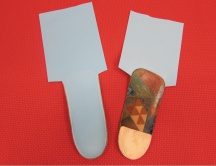 This includes replacing posting material, top covers, bottom covers and any additions or accommodations. 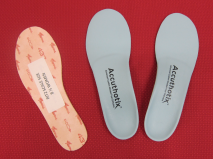 This does not include creating a new orthotic shell. 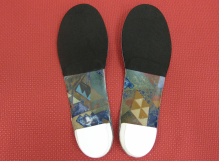 All of our work is fully guaranteed for 90 days and will be processed within three business days. Call for pricing. 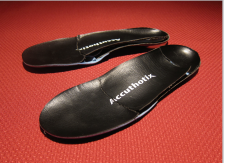 Patients full name- written on the bottom of the orthotic. Doctors contact information including phone number and e-mail. 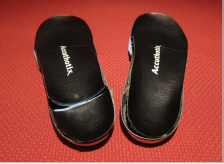 Specify what shoe style the orthotic is being fit into and if possible include an outline of the patient’s foot or shoe insole for perfect fit. 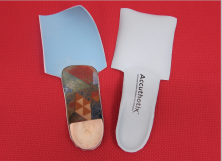 ** We do not refurbish Foot Levelers or prefabricated orthotics. 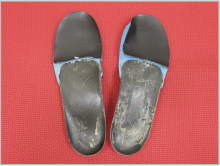 ** Prior to the refurbishment procedure, we exam the condition of the shells. 1. Removing and cleaning the top cover. 2. 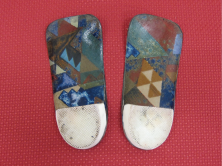 Examine the shells condition and removing the bottom cover. and bottom of the shells. 4. 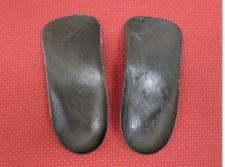 Cleaning the heel extrinsic post by grinding the EVA. 5. Adding the poron under the top cover. 6. Gluing the top cover. 7. Adding the bottom cover. 8. 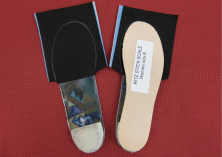 Sizing and trimming the orthotics. 9. Grinding the top and bottom edges. 10. 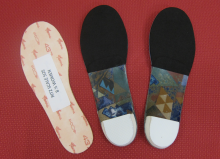 Gluing the heel bottom cover. 11. Checking the final product.